This award is new to me and I am sure to many readers but it certainly sounds interesting and the nominated writers are quite the who's who in science fiction. The award is named after the star Canopus. Canopus is the second brightest star in the night sky. From the Bedouin of the Sinai to the Maori of New Zealand to modern spacecraft, Canopus has been used for navigation through the centuries. Just as Canopus has helped past and modern-day explorers navigate, science fiction will be a guiding point of light in current and future interstellar efforts. 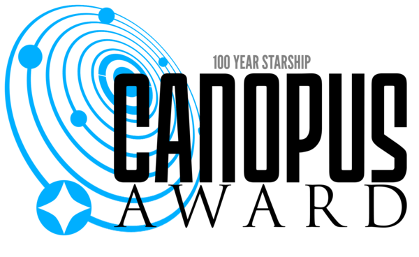 On Wednesday, September 23, 100 Year Starship announced the finalists in the inaugural Canopus Award for Excellence in Interstellar Writing. The Canopus Award is an annual writing prize recognizing the finest fiction and non-fiction works that contribute to the excitement, knowledge, and understanding of interstellar space exploration and travel. 100 Year Starship™ (100YSS) is an independent, non-governmental, long-term initiative to ensure the capabilities for human interstellar flight exist as soon as possible, and definitely within the next 100 years. 100YSS was started in 2012 with seed-funding through a competitive grant from DARPA (Defense Advanced Research Projects Agency) for the purpose of fostering the type of explosive innovation and technology and social advances born from addressing such an incredible challenge. To foster such innovation, 100YSS engages in collaborative international programs and projects in research and innovation, science, technology, engineering, and mathematics (STEM) capacity building, entrepreneurship and education projects with and between organizations, companies, universities and individuals. Based in Houston, TX 100YSS recently opened an affiliate in Brussels, 100YSS@EU and is in development of affiliates in Africa and Asia. The 100YSS Public Symposium is a powerful four-day event of global, transdisciplinary experience of imagination, hands-on programs, thought-provoking discussions and action on the frontiers of science, civilization, space, technology, society, music, art and our present and future. The Symposium brings together experts, enthusiasts, students, celebrities, innovators, educators, and thought leaders from around the world. 2015 is the fourth Symposium and is themed around “Finding Earth 2.0”—how both the process to discover and the definitive identification of a planet outside our solar system capable of supporting Earth based life will be game changing across the spectrum of human activities. 100YSS is part of the Dorothy Jemison Foundation for Excellence. What is the process to get Canopus Awards for Excellence in Interstellar Writing I am very brilliance in Interstellar Writing actually I am a worker of Dissertation Writing Help and I am a good writer. 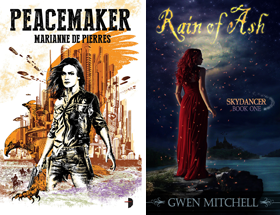 Happy to read here post on First Annual Canopus Awards for Excellence in Interstellar Writing. The Canopus Award is a key program of 100YSS, an independent, long-term international initiative to ensure that the capabilities for human interstellar travel, beyond our solar system to another star, exist within the next 100 years. At Artistic Resume Help, I would like to share your post with my resume writer team who also love to read such kind of blogs. The Canopus award is named for the second brightest star in the night sky, Canopus, which connects people past, present and future through fact and fantasy. Since I am academic writer and providing assignment writing services and would love to read such types of blogs. Over the times Canopus not only indicated planting seasons in the Rift Valley, but was a major navigation star for everyone from the Bedouin of the Sinai and the Maori of New Zealand to deep space probes like Voyager. Interstellar Writing is the most important writing for writer. If you want to get Awards for Excellence in Interstellar Writing you should develop your writing skill. Give students more free space to learn on their own and get lots of cool articles here https://eduessayhelper.org/. Thank you very much for sharing information about ward list. How can a person or professional from PhD dissertation writing services take part in next competition? now not usually. the best time which you might lose money by shifting off campus might be if you need to write my dissertation for me have a provide or scholarship thru the college you are attending that specifies you have to stay on campus to receive the overall quantity. but, any resource which you obtained by finishing the fafsa will no longer be tormented by where you stay. Wow. I wish I could win this award because I have excellent writing skills with more than 10 years experience of writing. I have been working with an academic writing company from several years and believe that If I could participate in the contest, I would be the top winner. Indian festivals calendar is also known as Hindu Vrat and Tyohar calendar. Indian Holiday Calendar provides Hindu festival dates, vrats, daily panchang etc. the Indian Calendar is based on lunar months corresponding to the phases of the moon. We are relaxed when we talk because we do it so often,college homework help and we're particularly relaxed when we talk to friends because we don't worry about what we say. Images should not be used in any way without further permission from Eyemage Media. download tv shows So guys what are you waiting for just download Soda Bubble Crush 2 and enjoy loads of puzzling fun and excitement. Great post,I appreciate your work in this article.if the users want to get more information about ooutlook, they they can contactoutlook support numberkeep checking this site. amazing post so thanks for this because this is very nice. Well, This is your best informative information, I mostly visit your website and blog for get information and than i share it with my friend circle and and got best response from them, Keep going on and share such types of interesting information. You've got lots of comments and it seems people love your content. Wow, that's a wonderful thing. Students who are searching affordable paper help service in USA, can contact with MyAssignmenthelp.com and get quality affordable paper help from experts. Viagra 100mg has been the easiest treatment for improving erectile dysfunction in men. It has been the most preferred generic drugs in reducing ED by ANTI-IMPOTENCE PILL for men. Great stuff of reading.. If someone needs assignments writing manchester support services then hire our professional assignment writer in all over world.